Some recent work since the Grand Canyon trip. Sept. 27 total lunar eclipse. Partial phases photographed 10 minutes apart as the moon moved in and out of Earth’s shadow. 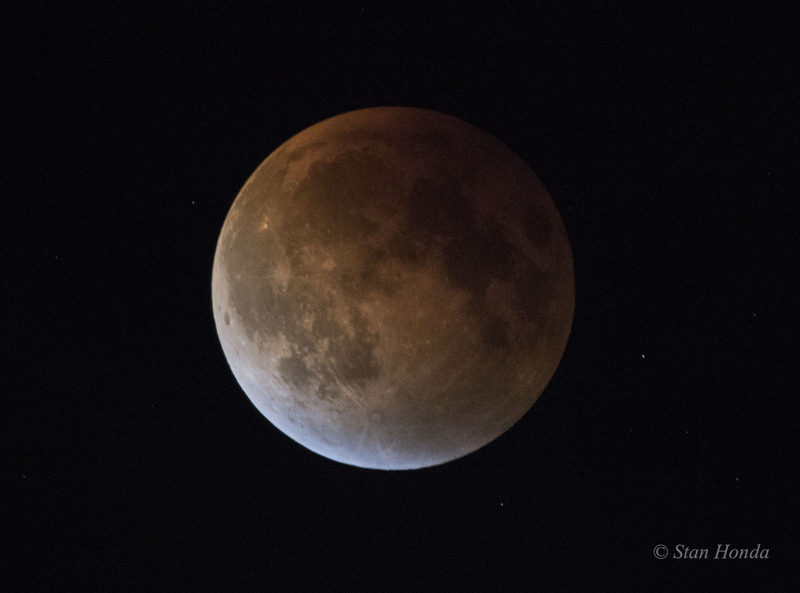 Total Lunar Eclipse, Sept. 27 at mid-totality. 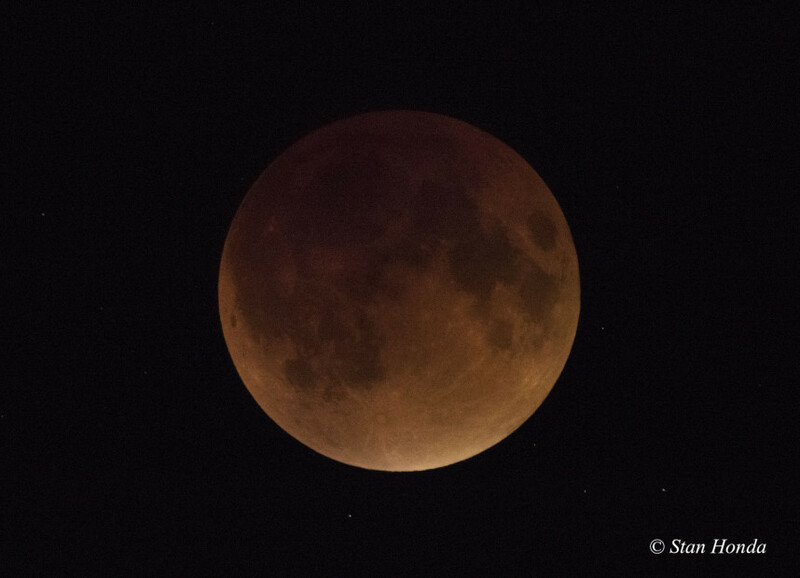 Total Lunar Eclipse, Sept 27, just before the moon recedes from Earth’s shadow. 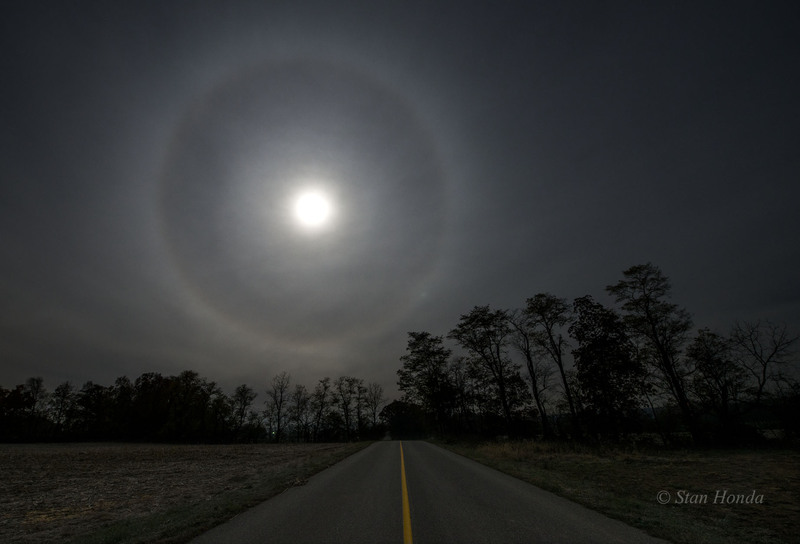 Blue light seen on the edge of the moon is sunlight refracted through ozone high in the Earth’s atmosphere. 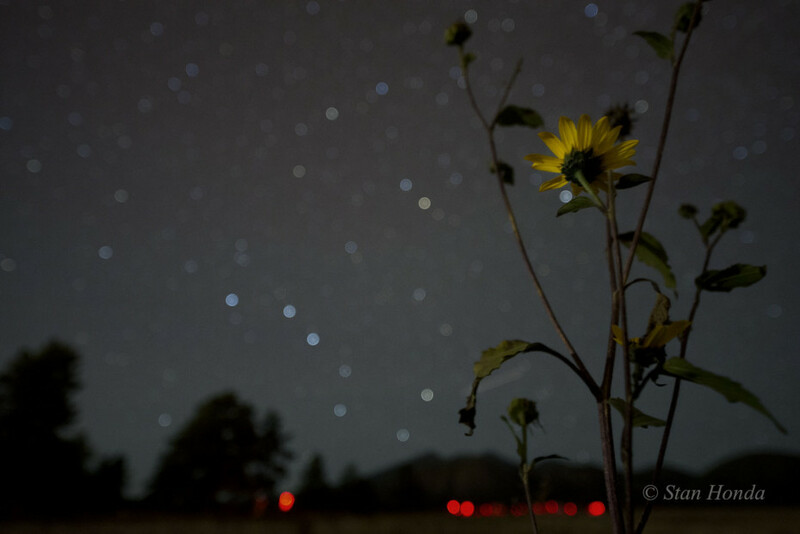 Sunflower, Big Dipper, Flagstaff, Arizona. 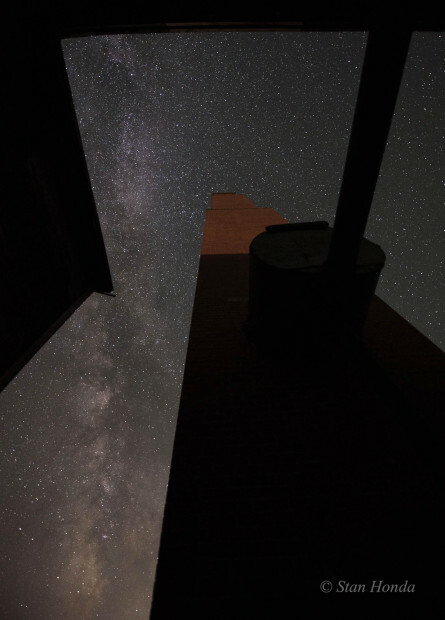 At the Flagstaff Star Party in September. Heart Mountain Relocation Center, Powell, Wyoming. The hospital boiler room and chimney still stands at the camp where Japanese Americans were incarcerated during World War II. Heart Mountain Relocation Center, Powell, Wyoming. A recovered barrack recently moved to the Heart Mountain Interpretive Center at the site where Japanese Americans were incarcerated during World War II. 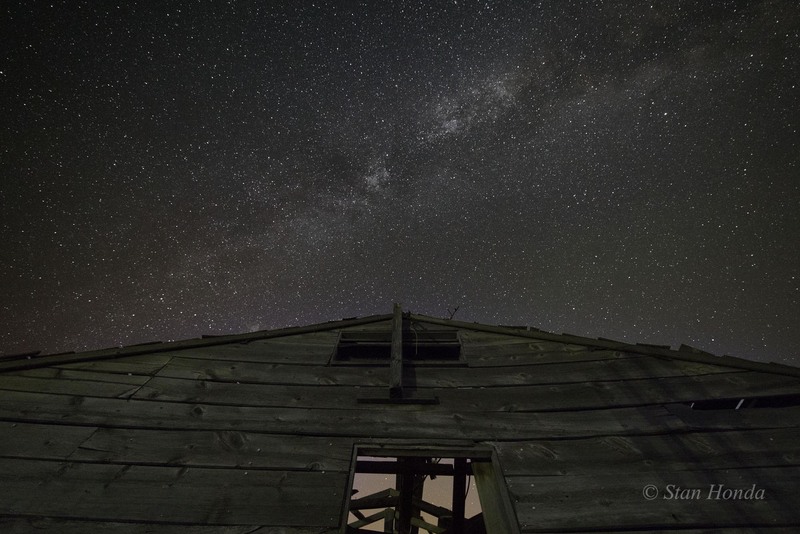 Tak Ogawa farm, Powell, Wyoming. 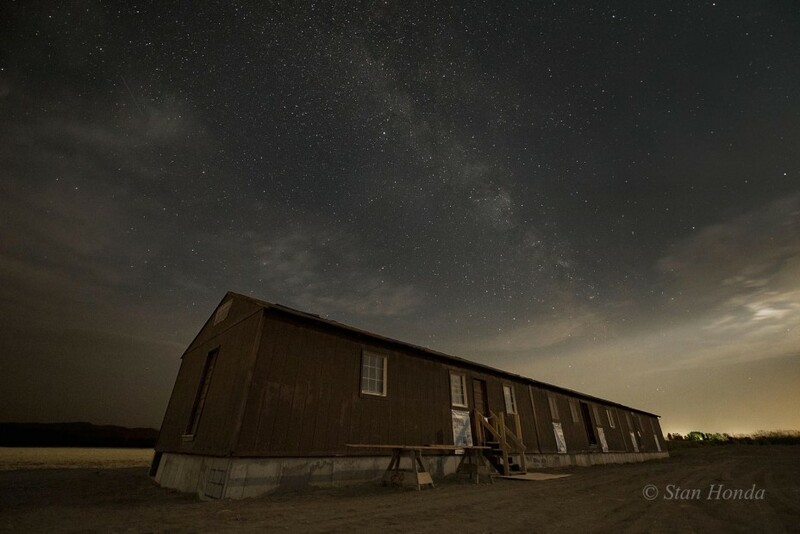 A barrack from the Heart Mountain Relocation Center where Japanese Americans were incarcerated during World War II. 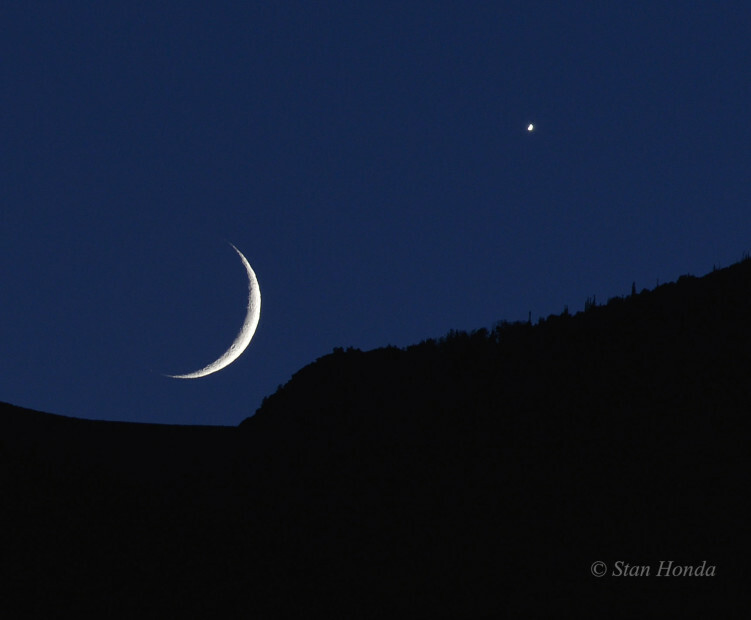 Moon and Venus setting, Rocky Mountain National Park.